Holy Rosary Parish is a community of persons who believe in Jesus Christ as Lord and Savior. Each of us is called by the Father to proclaim the Good News of Christ, to celebrate His love in prayer and sacraments, and to build the kingdom of justice, truth, love, and peace. Individually, we have been gifted by the Spirit in many varied ways; together, we seek to use these gifts in the service of one another and the world around us. We are united in our mission with the Diocese of Wilmington and the universal Church to be the salt of the earth and the light of the world. Life can be noisy. Between our smartphones and our busy schedules, the 24-hour news cycle, and everything else that demands our attention, sometimes we need prayer and stillness to balance it all. 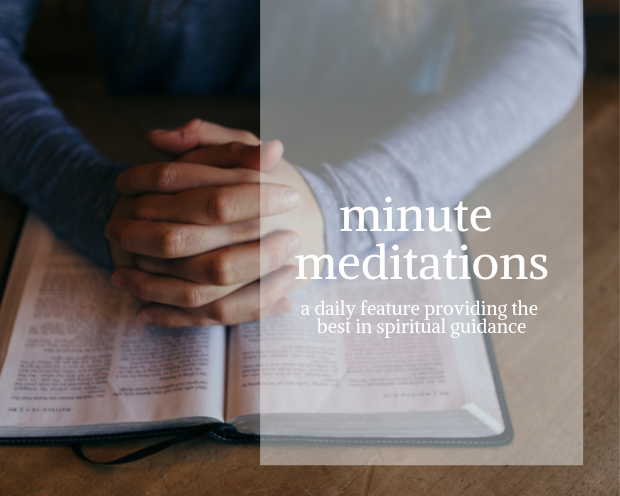 Minute Meditations is that quiet spot in your busy day. This resource offers the best in prayer and spiritual nourishment, delivered to your inbox every day for free. Click here to sign up and fuel your spirit.